We are a specialist strategy consulting firm for pharmaceutical and biotech companies. We help our clients to achieve significant performance improvement and sustainable growth by working with their leaders and teams to develop excellent strategies, capabilities, and partnerships across commercial, corporate and R&D functions. 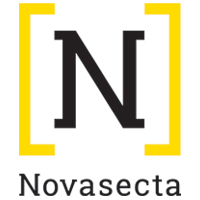 Novasecta is uniquely positioned to understand the strategic and operational challenges that our companies face in today's environment as well as insightful in helping them think about their strategic options.